Amari Wilson provides public relations, social media management and email marketing support to a number of clients in a variety of industries. Joining c21 as a marketing and public relations intern in September 2017, she has been an amazing addition to the team. 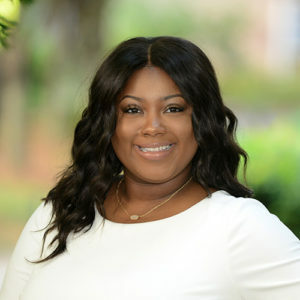 Amari is a recent graduate of Louisiana State University, where she obtained a Bachelor of Arts in Mass Communication with a concentration in Political Communication and a minor in Business Administration. While at LSU, Amari had the opportunity to intern for the Louisiana Department of Transportation and Development where she learned firsthand from government officials about the work that goes into managing public relations for a state agency. Outside of the office, Amari is a busy girl. Juggling her social life, her addiction to Netflix and her shopping habit, you can find her at some of Atlanta’s new hot spots, grabbing drinks with friends or at the airport since she’s constantly on the move.